If you stop and think about all of the different profiles that you need to maintain for your business, it can get a little overwhelming. From Twitter to Facebook to Instagram to experimenting with new and emerging social media platforms, managing your social media marketing can feel like a job all by itself. The point of having social media is to expand the marketing reach of your business, not to overwhelm yourself with all of the different things that you have to keep track of. Luckily, you can make your profiles work together and you can reduce the amount of time you put into each individual channel. You can also make sure that all of your pages are sending the same clear and well-branded message. Here are some tips on how to achieve social media synergy and make all of your profiles work cohesively. Although various social media platforms are owned by different parent companies, most of them understand how essential it is for their platforms to work in conjunction with one another, instead of competing. For instance, Instagram allows users to automatically post to Facebook, because the ability to post directly to Facebook promotes Instagram's brand. Be sure to set your Twitter and Instagram posts to auto-post to Facebook. It is actually quite possible to control a Facebook account without ever having to log in and post through that channel. Instead, let Instagram and Twitter automatically update it for you. Some companies have their best results with Twitter, while others swear that Facebook is key to their success. It's not a bad idea to pick your "top" social media platform. You should continue to use as many platforms as possible, but having one that takes the highest priority is a good strategy. This can be the platform that you put the bulk of your efforts into. You can figure out which platform yields the best results via trial and error. Once you've determined it, put all of your focus onto that one platform. You want to have a continuous tone and theme across all of your different social media platforms. It's a bad idea to have your Facebook and Twitter pages containing posts that are radically different in tone. Remember, you should always be focused on branding when you're doing any work with social media. If you have different people operating different social media platforms, it's imperative that you make sure that they are all on the same page. It's crucial that you have a presence on all of the big social media platforms in order to promote your business and your brand. However, if you follow these above tips, you'll create a social media marketing strategy that is cohesive and allows you to take advantage of the various platforms without becoming stressed out. 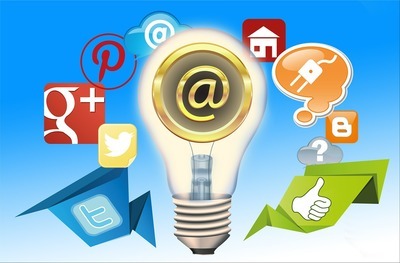 Social media is the future of marketing. If you follow these tips, you can ensure that your business takes advantage of all that it has to offer.